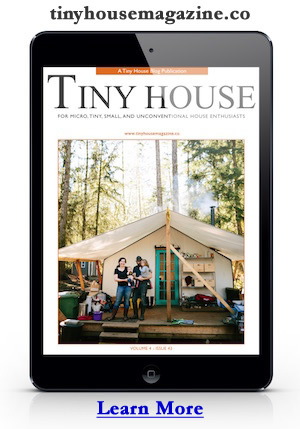 Read more about Living in a Tiny House at Rhode Island Monthly. 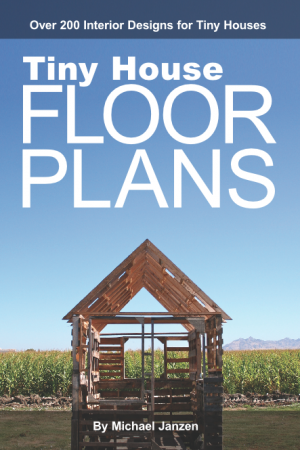 Also be sure to visit their blog, Another Tiny House Story. Photos by Nat Rea. This entry was posted in Tiny House and tagged Dan Sullivan, Jess Sullivan, pod, Rhode Island, Rhode Island Monthly, tiny house. I enjoy these stories and this place looks more “lived in” with it’s books and work area looking “in use.” I will say the cover picture highlights an aspect of many THs: your feet/shoes tread over your food prep area in some cases. This has always been one of my favorite tiny houses. It’s just so organized and aesthetically pleasing. Great job guys! Enjoy! I just love these houses! Especially the ones of travel trailers that have been converted. My husband of almost 21 years and I have gutted and redone a few travel trailers but, none to this extent. We are now ready to embark on another. This time it will be a much larger project due to the trailer being 35 ft. opposed to the 9, 19 & 25 ft we have done in the past and this trailer being in worse shape than we have ever dealt with before. It will be a project to say the least but, I belive doing these kinds of things together is what has contributed to the longevity and happiness in our relationship. I will post pictures on Pinterest of our progress as well as before and after pictures of our new TINY HOME.